Monkey around with our newest guide. A giant mound of bananas threatens to crush a gorilla in Banana Kong, FDG Entertainment's enjoyable iPhone and iPad game. Although it features simple touch controls, this challenging endless-runner will test your platforming skills as you navigate past treacherous waters and over red-hot lava. That said, let us help make things easier with our Banana Kong cheats and tips guide. -The gorilla can bust through spider webs and barrels. Anything else results in instant death. -Tap once to jump. 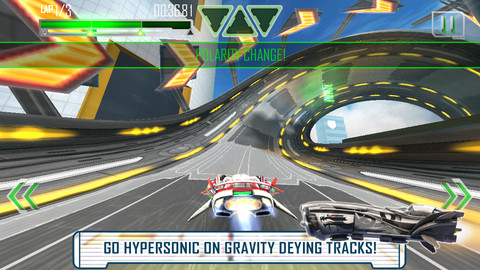 Press and hold the screen to glide. It's a great way to avoid piranha-infested waters. -Collect bananas to fill the power meter. Once full, swipe to the right to perform a power dash. This super move sends the gorilla through objects, including stone and airplane wreckage. -You can only enter the cave with a power dash. Look for a boarded up cave entrance. -Hitch rides on animals and make use of their signature abilities. The Toucan, for example, can fly, while the Boar smashes through everything. -Running through barrels, spider webs and bats slow the gorilla down. -Bananas also function as the game's virtual currency. Spend them at the shop. -Visit the shop to upgrade animals, the glide ability and to unlock special Rainbow bananas. Then purchase 1-ups, the option to bounce on water and other useful things. -Use objects in the environment to your advantage. Bounce off flowers and swing on vines. 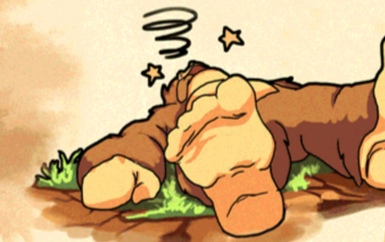 -Banana Kong features randomly generated levels, so don't expect to see the same game twice. -Earn free bananas by completing different tasks, like signing up for Tapjoy, or emails from Target.